A teenage girl allegedly killed by her family along with her two sisters confided in school and child protection authorities that she was being pressured to wear a hijab and was being shunned at home, so she tried to kill herself, a court heard Wednesday. Sahar Shafia, then 16, told an assistant principal at her Montreal school a year before she died that her family had been pressuring her to wear a traditional head scarf, and that she had been "emotionally rejected" by her parents, who had barely spoken with her in the previous eight months, the Kingston court heard. She also said that she was subject to verbal and physical abuse by her older brother and that her parents wanted her to leave school, the assistant principal told court. It was all too much, so she took some pills in a suicide attempt, Josée Fortin told the mass murder trial. "I had enough," she said Sahar told her. "I wanted to die." The prosecution has alleged Zainab, 19, Sahar, 17, and Geeti Shafia, 13, as well as their father’s first wife, Rona Amir Mohammad, 50, were killed because the girls’ parents and older brother disapproved of the teens’ behaviour and boyfriends. All four victims were found in a submerged car at the bottom of the Rideau Canal in June 2009. 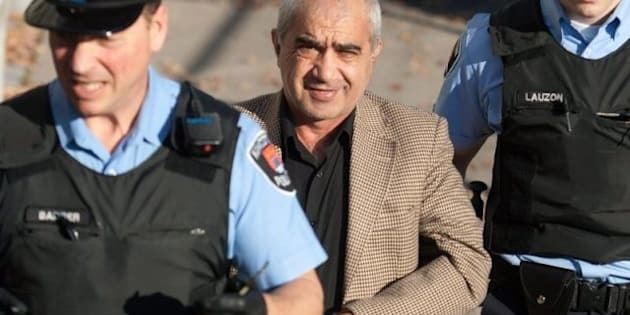 The girls’ parents, Mohammad Shafia, 58, and his wife Tooba Mohammad Yahya, 41, and their son, Hamed Mohammad Shafia, 20, have all pleaded not guilty to four counts of first-degree murder. Their trial began in mid-October. In their opening address to the jury last month, prosecutors detailed how staff at Sahar’s school twice called youth protection after hearing the girl complain about her home life. When Sahar tried to kill herself in May 2008, she got no assistance from her family, and her mother said something to the effect of, "if she wants to die, let her," Fortin testified. Sahar also made other allegations of abuse and alienation from her family, prompting the assistant principal called youth services. Batshaw Youth and Family Centres social worker Jeanne Rowe was sent to the school, where she met Sahar, who pleaded with her not to call her parents. Testifying on Wednesday, Rowe said she explained to Sahar that it is mandatory to contact parents when a report is made. "She was very, very scared of her parents knowing about the report," Rowe testified. "She just denied everything. She just said, 'It's not true. It's not true. I want to go home.'" The Shafia parents were summoned to the school for a meeting with Rowe and Sahar, Rowe said. Sahar was "obviously extremely scared," Rowe said, and didn't stop crying through the whole meeting. The Shafias, including a "very angry" father, denied everything Sahar had said, Rowe testified. Because the teen was adamant about returning home, Rowe let her and followed up with a meeting two days later. That day, Rowe said, Sahar was wearing a hijab. She reported that the situation at home had improved, Rowe said. "The mother told her that any time she feels sad she must come and talk to her," she testified. "She said her mother told her brother that the hitting has to stop, and so that made her feel very much more comfortable." The following year, just two months before the Shafia siblings died, another school official held a meeting with the family to express concerns that Sahar and Geeti were frequently late or absent from class. Geeti had accumulated 40 absences and was failing all of her classes. During that meeting, Shafia and Yahya said they didn't know what to do, Nathalie Laramée testified in French through a translator. The girls opened up once their parents left the room, she said. "Sahar was telling me, 'You know, Mrs. Laramée, I did not translate everything my father said because there were a lot of lies in this,"' Laramée said. "'Let me repeat to you, my sister and I are afraid in the house. We are afraid when our father is there.'" At a meeting with Geeti and a teacher two weeks later, the girl begged to be removed from the home, Laramée said. On Tuesday afternoon, the court heard from a police officer who intervened at the Shafia home following a 911 call made about a month before the girls were found dead. The officer described how the Shafia girls reported being hit in the face by their brother and father, and having their hair pulled because they were out late. The officer observed a mark around the eye of one of the girls. That officer wanted to press charges, but called in youth protection services instead, who then interviewed all the girls in front of their father. The court was told the girls were crying and silent, but then recanted allegations of abuse, while still saying they wanted to live in a foster home. Police and youth protection decided no charges would be laid and closed the file.